Since 1947 producers of scarves, stoles and accessories - MA.AL.BI. 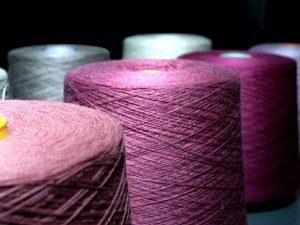 We only use the highest quality yarns in wool, cashmere, silk, linen, cotton and many others fibers. All our yarns are produced in Italy with the best raw materials, as cashmere from Mongolia and China or wool from Australia. Raw materials quality is essential in order to process and finish our items, giving those fabrics the particular beauty we are worldwide famous for. The warp or chain is the set of yarns that creates a fabric together with the ones of the weft. 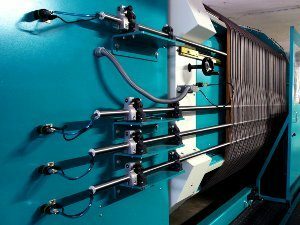 The process of a warp’s preparation is called warping: the thread’s spools are arranged on warping machines where the warp (the vertical part of the fabric) is created and then moved on large cylinders, called warp beams. The warp passes through large reeds for looms (called healds) which divides yarns according to the product that must be created. 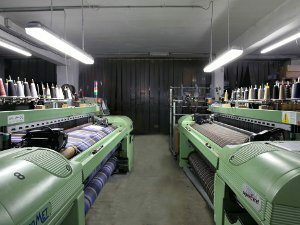 Only now the beams can be charged on looms and weaving can start: shuttles weave the weft that give form to the raw fabric together with the warp. Successively the fabric will be cut into our stoles, but only after all the finishing steps. 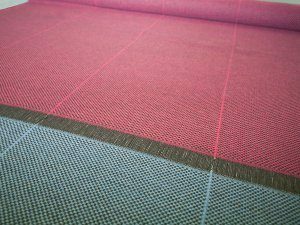 Once the untreated fabric gets out from the loom, it must be finished; the kind of finishing depends on the type of article, composition or touch we need as result. The finishing process is very complicated and it usually takes a long time to be completed. It confers our scarves and stoles the features we desire. 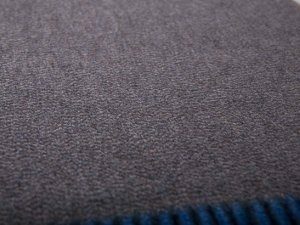 After being finished, the fabric is moved to the cutting department where is cut into the required sizes; we have many different articles with many different sizes and our quality controllers must check these, and general quality of the fabric too. The finished articles are stored in the warehouse of our factory, in Biella, that always counts nearly 120,000 pieces available. Here each item is double checked, tagged, folded and packed, according to the needs of our customers. Once our staff finish to pack the goods, they are ready to be shipped all over the world! All our production is strictly “Made in Italy”. We can offer a huge assortment of articles and a service flexibility combined with excellent value for money. We produce fashion accessories using the finest yarns in wool, silk, cashmere and many more. Our designers blend yarns and colours to give life to our collections, in order to please the needs of each client. Hundreds of compositions, sizes, colors and designs give shape to our great quality and beauty product. 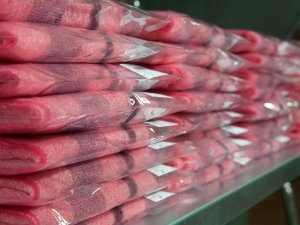 Our production force allows us to have no minimum on all the items in collection, supported by a flexible and streamlined logistic and high quality standards,. At the same time we are able to develop targeted and sophisticated products ad hoc that meet the needs of our fashionable and demanding customers. Our warehouse is always at your disposal and our laboratories are able to satisfy all your needs as embroidery, labeling and any kind of product customization. The back office follows the customer from the selection step to the ones of sampling and production delivery. We know how important packaging and dedicated service to our customers, so we pointed to a large manufacturing flexibility and logistics.